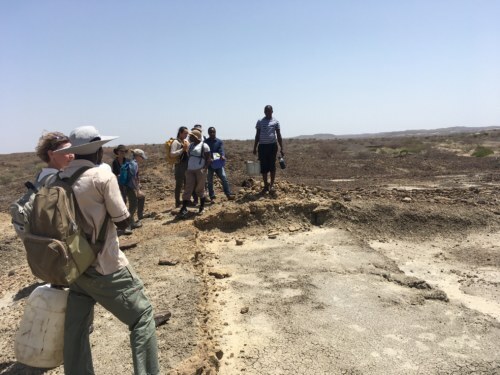 On our last week of the Human Evolution module Professor Tracy Kivell led the students out to Area 13 where they would be tracking down two hippo humeri to plaster and they would see the site where hominin fossils were found in 2015! 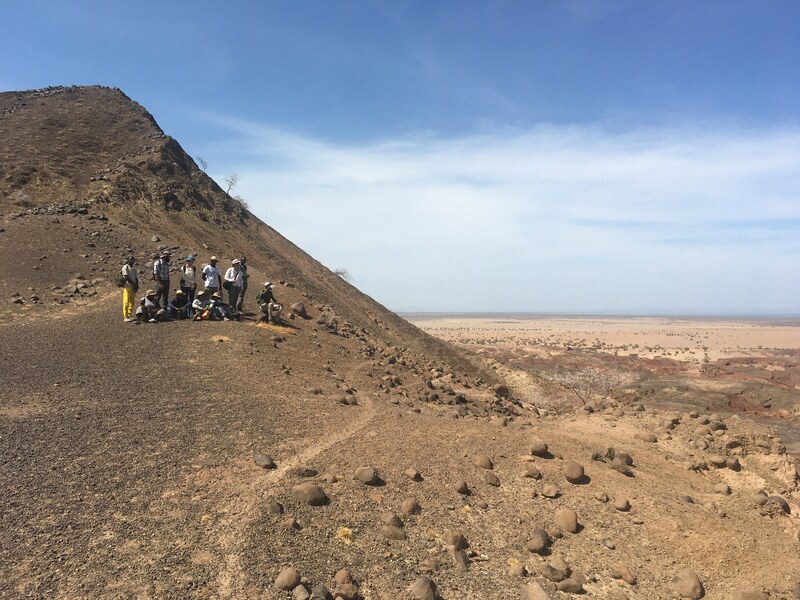 The students also go to partake in a hill crawl; which consists of everyone lining up shoulder to shoulder in an area and slowly moving forward, surveying the surface for any signs of interesting finds, in this case the students were on the lookout for hominin fossils. 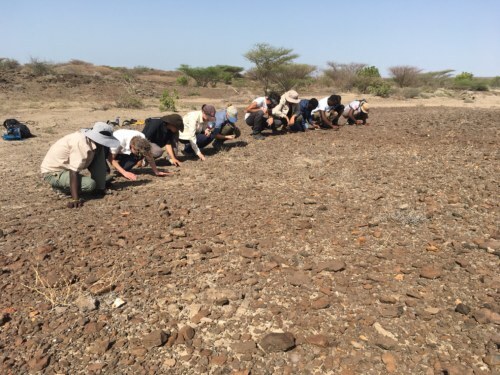 Sadly no hominin fossils turned up, but a few lithics and crocodile bones were spotted. 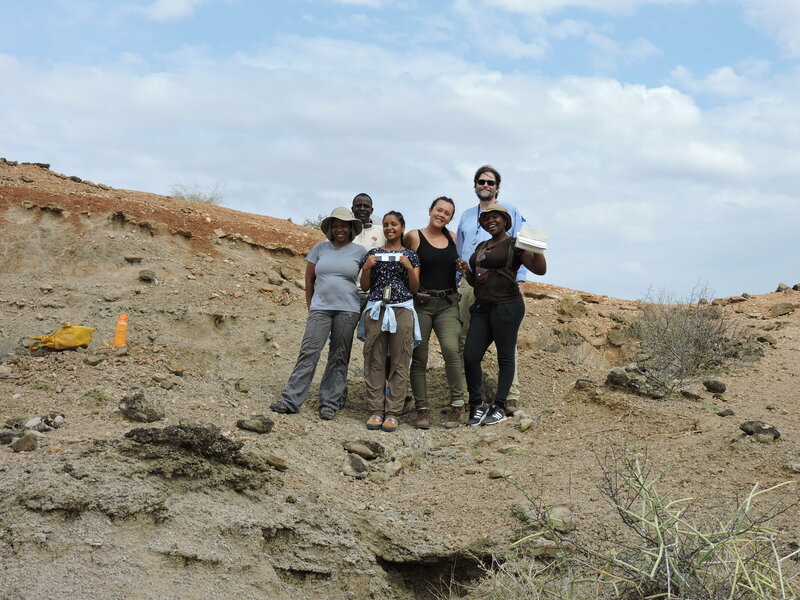 Checking out the sites where the hominin fossils were found! 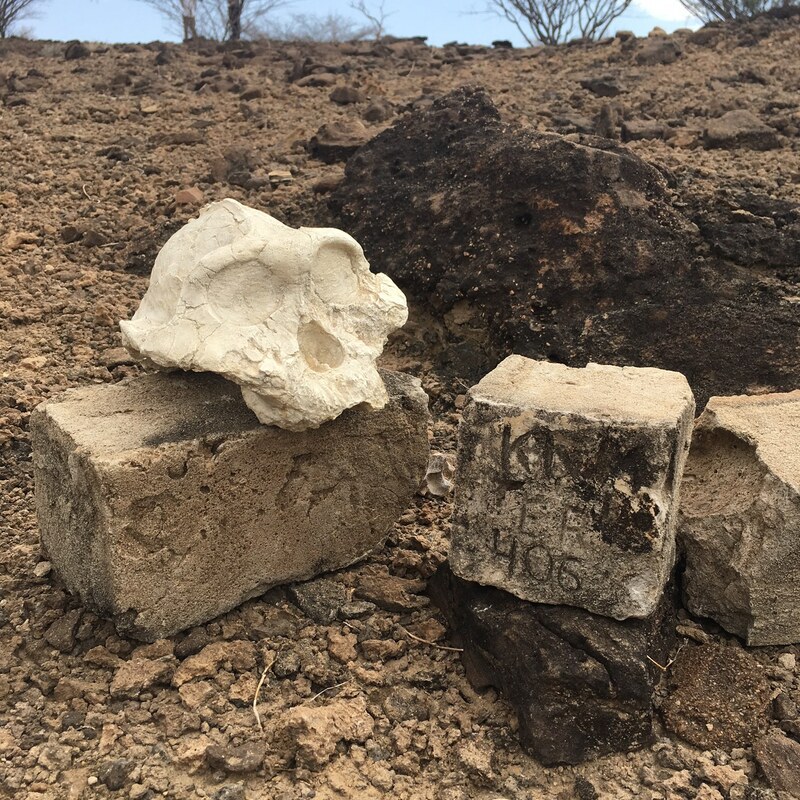 When they headed back to the location of the two hippopotamus humeri they were split up into two teams, each one taking a humerus to plaster. Before the plastering could commence the area around the bones needed to be cleaned and dug down 20 centimeters. 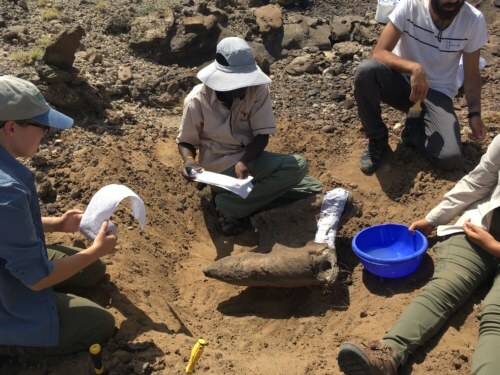 The students enjoyed being able to get their hands dirty and aiding in recovering important fossils for the TBI Illeret collection. 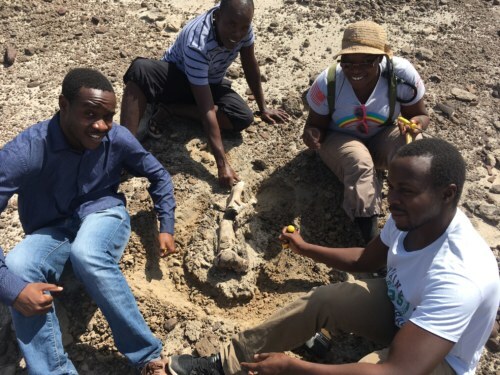 Once the area around the bones was cleaned they were taught the step by step process to properly plaster the fossil. Once the plaster was applied there was nothing left to do but wait for it to dry until another team could pick it up the next day. 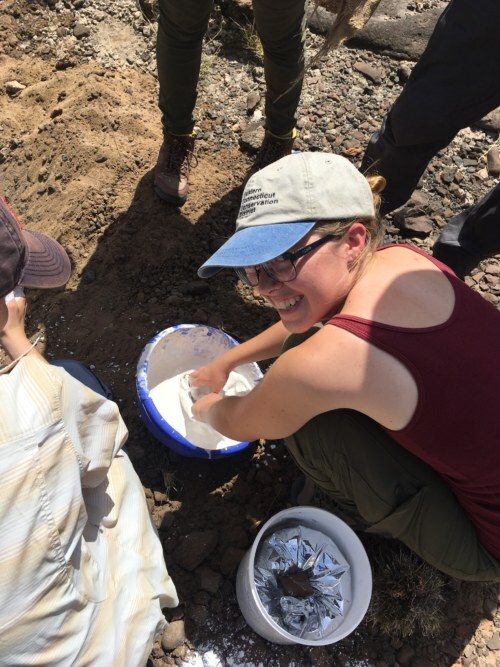 Covered in plaster and smiles the students made their way back to campus to prepare for their human evolution test that would take place at the end of the week. 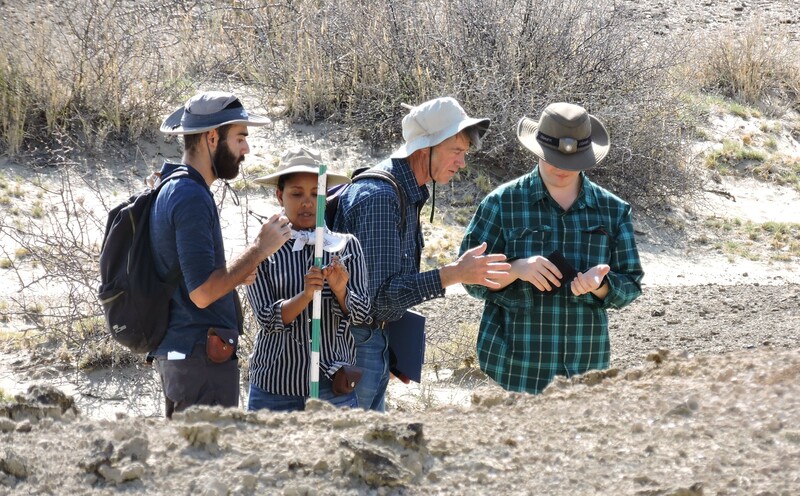 The Human Evolution module came to a successful close on Friday afternoon after the students gave their project presentations. Some of the topics included canabalism among Homo neanderthalensis, the anomaly that is Homo floresiensis, the earliest signs of cooking and controlled use of fire, in addition to several others. 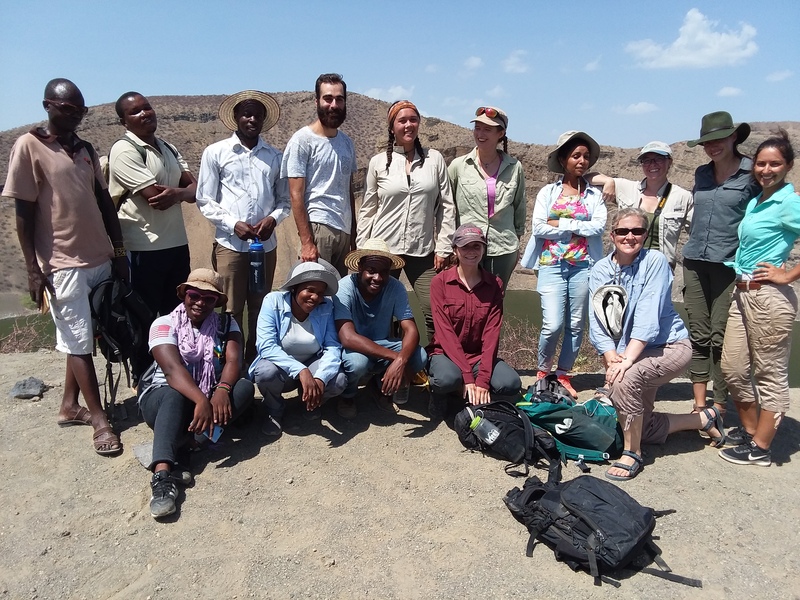 The next day everyone said farewell to Tracy as she left to head home and the students packed up and made their way to their final destination at Turkwel on the West side of Lake Turkana. Everyone arrived safely at Turkwel on Saturday afternoon, giving them time to take in the natural splendor of their new home for the next two weeks. 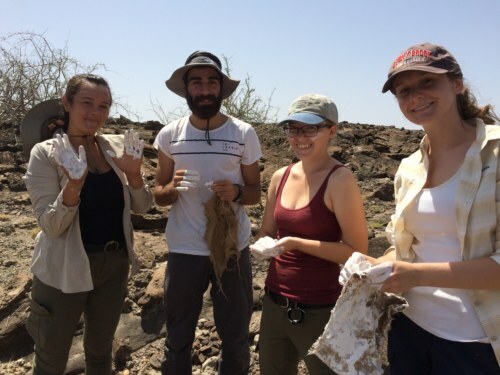 They met their newest professor, Dr. Elisabeth Hildebrand, who will be teaching the final course on Archaeology. The students have a busy and exciting schedule ahead of them in the coming weeks. 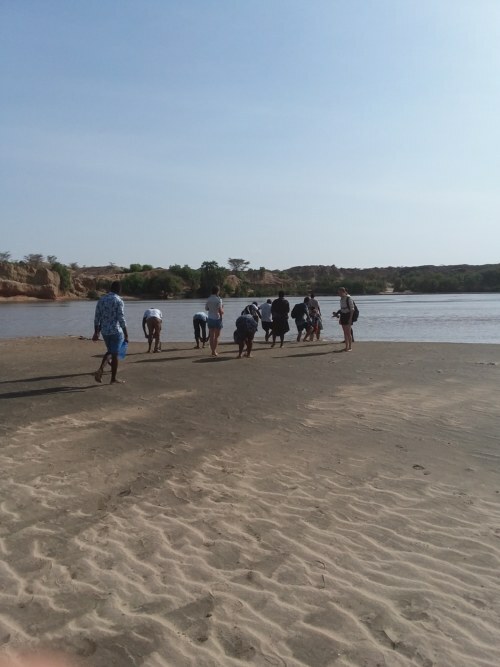 They ended their weekend at Eliye Springs, a resort south of Turkwel, where the students were able to relax and enjoy a day at the beach. Starting Monday, the real work will begin!